Hong Kong is outstanding destination for those who want to live and work in that country. It is also known as one of the leading foreign financial centers of the world. Every year large number of Indians applies for the Hong Kong Immigration. There are many options available for those who want to migrate to Hong Kong. If any individual has the right qualification and work experience then he/she might get a work visa. If you are a skilled worker then there is no restrictions on the number of individuals who could reside and work in Hong Kong. Hong Kong immigration provides simple migration policies for attracting the skilled immigrants. If an individual has pursued education in Hong Kong, those individuals might be qualified to reside and work in Hong Kong under this program. If an individual has completed his graduation or masters in other country, then they might get qualify to migrate and work in Hong Kong under this program. Highly qualified individuals might get qualify to enter and settle down in Hong Kong with suitable jobs in their companies or businesses and contributing effectively to the economy of the country. Perhaps it is counted as the biggest advantage of migrating to Hong Kong; it is the economy of the country. The rate of the taxes is less with no inheritance tax and overseas exchange controls. The country offers free education to the children of migrants. It is easy to obtain the Hong Kong Permanent residency. 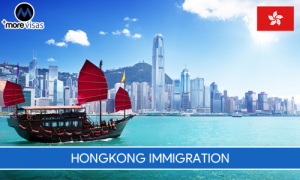 Under various programs offered by the Hong Kong Immigration, the skilled worker can easily migrate and settle down in the country.